The sun is peeking through the blinds, your eyes feel heavy, and time has come for that first cup of coffee for the day. 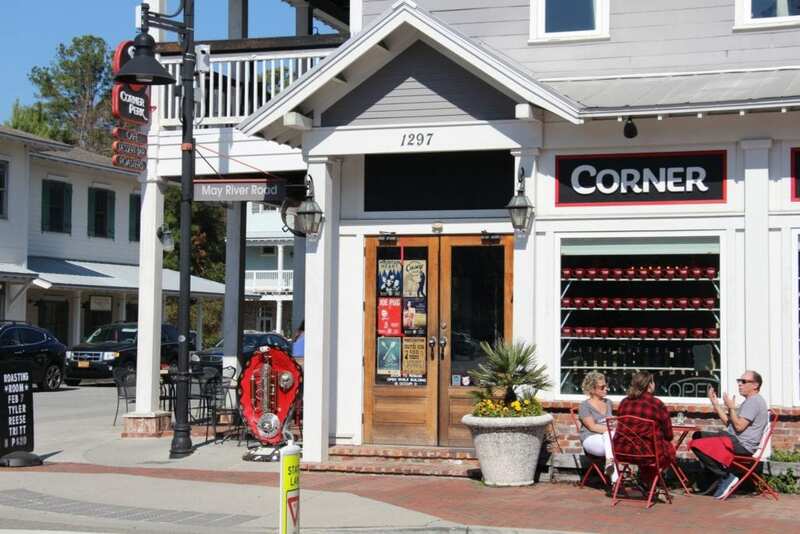 After a late night of being a Rock Star (either taking care of the grandkids or closing down your favorite late night bar), it’s time to head over to Corner Perk Coffee shop, which is smack dab in the middle of the heart of Old Town Bluffton. 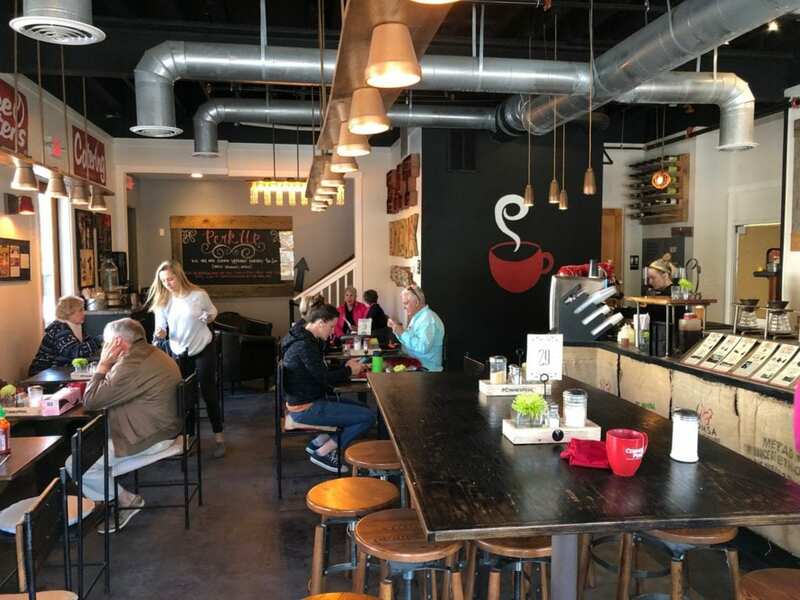 You’ll find Corner Perk Brunch Cafe & Coffee Roasters at the crossroads of Calhoun Street and May River Road. Inside of Perk Corner Brunch Cafe. 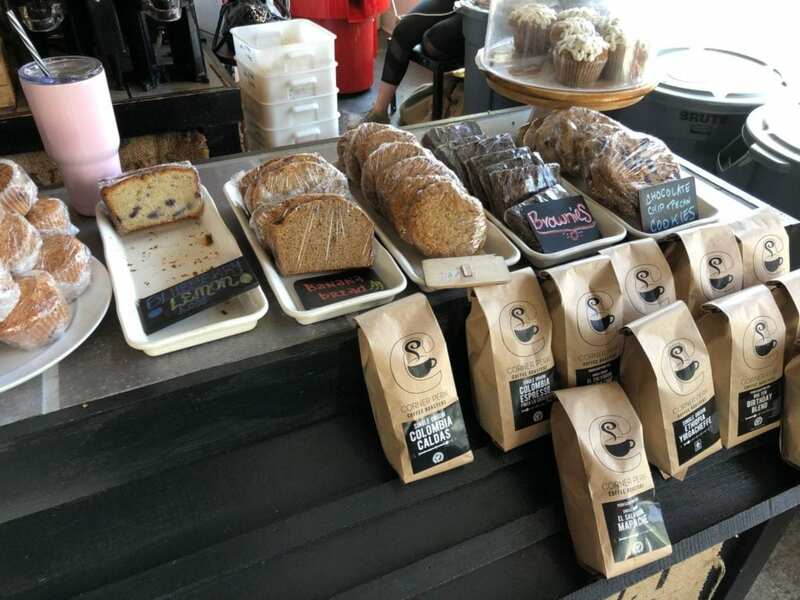 Corner Perk Brunch Cafe & Coffee Roasters is locally owned and operated. 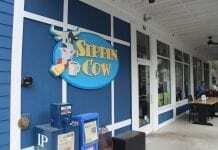 For the past six years, this coffee shop has been voted the Best Coffee Shop in the Lowcountry. It won’t take you long to discover why so many locals love this coffee shop and make it part of their daily routine. From the moment you walk through their solid wooden front doors, you’ll notice the use of colors and materials that create high contrast throughout their coffee shop. Black, red, metal, exposed wood, and warm lights set the tone as you walk to the counter to order your coffee and eats. Seating is available inside, upstairs and outside. We recommend sitting outside and enjoying the cool of the morning while sipping on your coffee. Did someone say “brunch!”? Corner Perk serves brunch all day long. 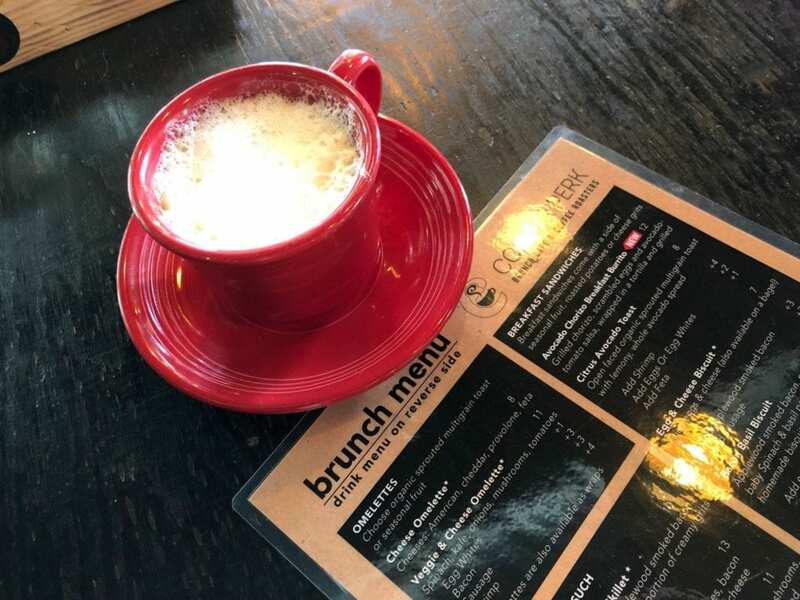 There’s a reason Corner Perk’s brunch menu has become a Bluffton staple. 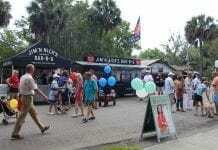 Skillets, omelets, french toast, sandwiches, wraps, mimosas, Moscow mules, and so much more. They focus on food as much as the coffee as it shows. Corner Perk Coffee’s outside seating at the intersection of Calhoun Street and May River Road. Corner Perk Brunch Cafe is the perfect place to start your day. After you have had morning coffee and breakfast, make sure you take a walk down Calhoun Street toward the bluff and enjoy beautiful Old Town Bluffton.